Get off to a flying start with this video with our author extraordinaire, Lucy Hawking, to accompany the Pre-Launch Chapter of the Principia Space Diary. Lucy meets TV presenter and space expert Dallas Campbell at the London Science Museum to talk about what it takes to be an astronaut, how to make sure you’re fit and healthy to go into space, and what features a real spacesuit needs. 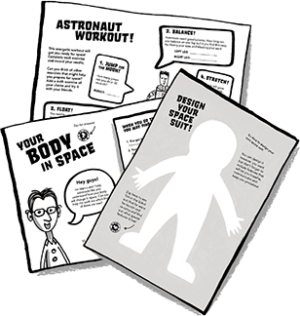 Visit the Pre-Launch Chapter to download the activities, teaching notes and more great resources.